and get it out again when she's a little older. Well if I had waited I would have deprived my daughter of what is far and away her favourite toy. 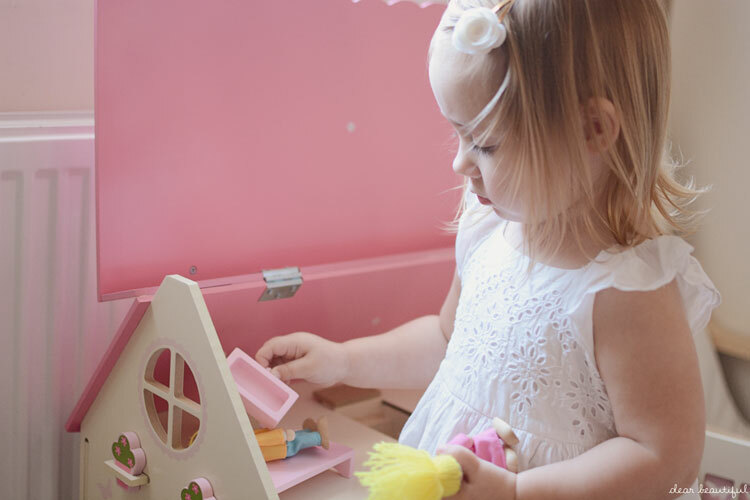 I literally cannot explain how much she adores this wooden dollhouse from George Home. It is played with all the time. tucked in lovingly and wished "sweet dreams". and the design of it is lovely. and is incredibly reasonably priced too. and I know I have seen houses alone that cost far more than that. and is all nicely colour coordinated with the house itself. who have to spend all day looking at these toys and each evening tidying them away. even for 'big little girls'. which has in turn made the roof fall away. and that there was a weaker spot in the wood of the chimney. But I want to be honest and admit that this little break did happen. and we will do all we can to repair it so that our beautiful girl can continue to enjoy her favourite toy. but all words are honest and opinions my own. WOW BG you are one lucky girl it's beautiful. Looks like she loves it and is right in her element. It's definitely nature. MM is the same and Buba loving his cars. Lovely review hunny. We bought MM a dollhouse for her Christmas present I can't wait to see her with it. 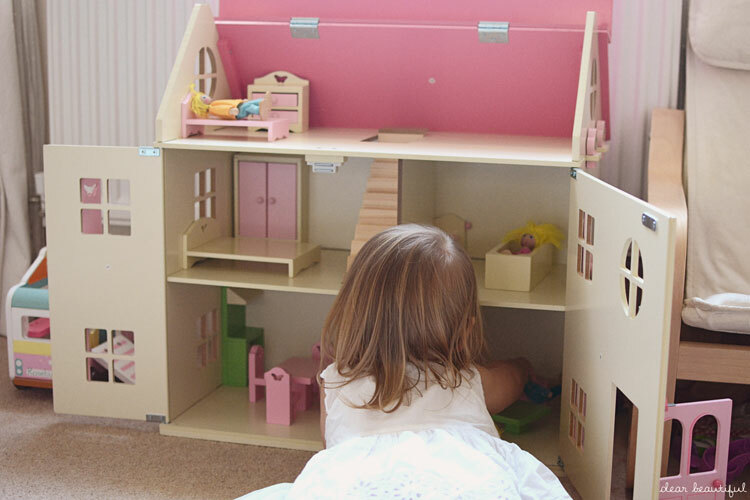 Oh that's a gorgeous dolls house, I'm not surprised she loves it so much -and I'm glad I'm not the only Mummy who might just play with the toys a little bit as she puts them away in the evening!! 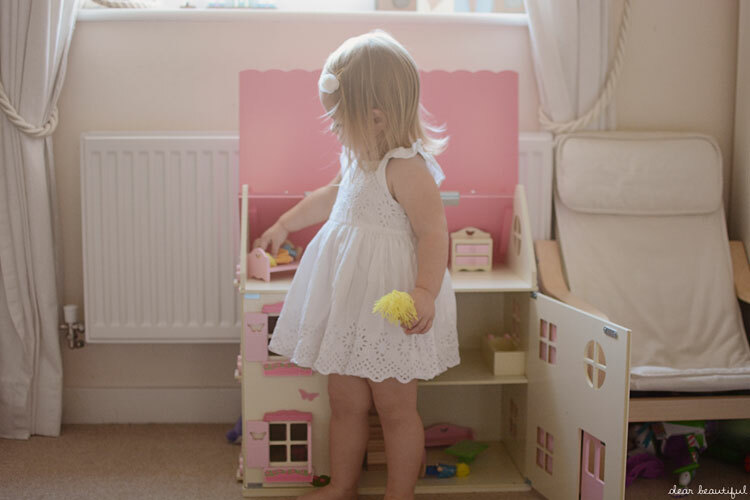 I love the dolls house... And I love her dress! So cute! We've actually got a dolls house ready for the girls for Christmas... So excited to give it to them, especially after ready this post! Just lovely! 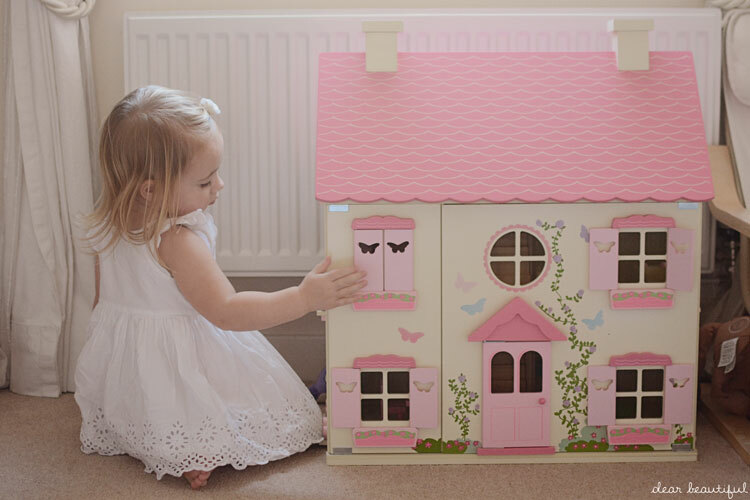 Her wooden dolls house is absolutely beautiful. I would have loved this as a child. We have bought this for our daughter for Christmas and I am so excited to have a play, even more so now I have seen your photos, it looks amazing!